We understand that every student’s financial situation varies. That is why at BCA Ministry College, we do our best to make our program as affordable and competitive as possible. We have worked diligently to reduce the cost of tuition and created our internship to give our students an experience unlike any other. However, when it comes to housing, we know that finances can still be an issue. That is why we have connected with local apartment complexes to allow students the option to choose the housing option that works best for them. In doing so, our students are able to stay in housing that is perfect for their situation, work with the apartment complex directly, and pay month-to-month as opposed to owing the entire cost upfront. Below is a list of apartment complexes that we would recommend our students consider when choosing housing for the program. All apartments are located within walking distance of the church, are protected with state of the art security, and offer a multitude of amenities. We realize that these complexes may not meet your needs and that is why we allow our students to rent where they best see fit. If students desire, they can look at alternate housing options and for this we would recommend using a rental website such as Zillow. We don't want housing to be something that prevents a student from attending Ministry College. If you have any further questions about housing, are concerned about the cost, or are looking for other students to be housed with please contact us via the contact tab below. Situated among historic landmarks in downtown Everett, Library Place is the ideal spot for students seeking an urban lifestyle. Library Place Apartments is conveniently located only minutes away from local dining, Comcast Arena, Village Theatre, and Bethany Christian Assembly. Below is a list of just a few of the apartments that Library Place offers. For more information and to contact Library Place click HERE. 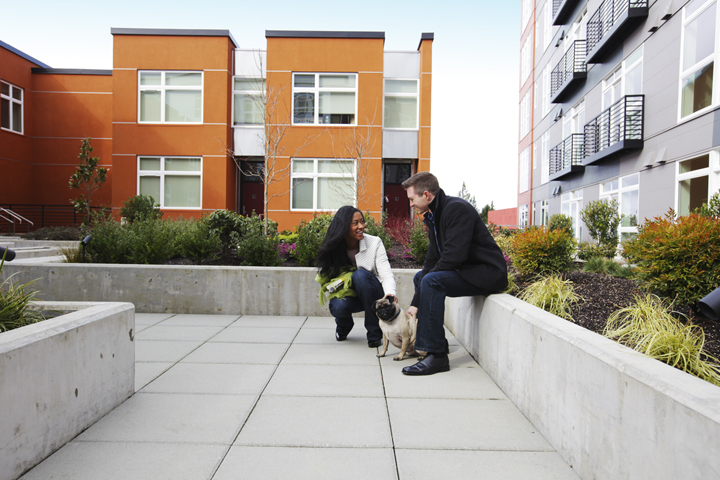 Just a three minute walk to the Grand Avenue Park, Silver Cup Coffee, and the Everett waterfront, these apartments feature sweeping views of Puget Sound, downtown Everett, and the Olympic and Cascade Mountains. To learn more about Everett Peninsula please visit their website HERE. Student Rental Option - Require proof of income of 3x the amount of rent. 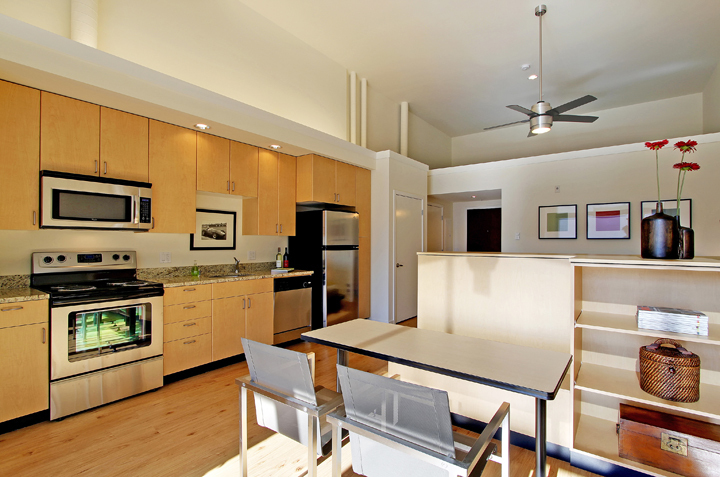 Surrounded by charming cafe's, bistros, coffee shops and boutiques, Colby Crest offers great location and convenience. Plus, we are an easy walk to the Comcast Arena, and old town everett. 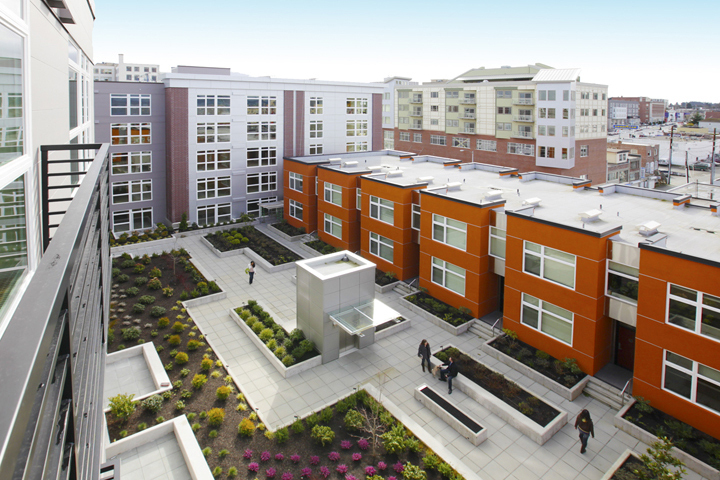 Located in the heart of Everett, Bayview Apartments offer homes with views of the Puget Sound and private decks. 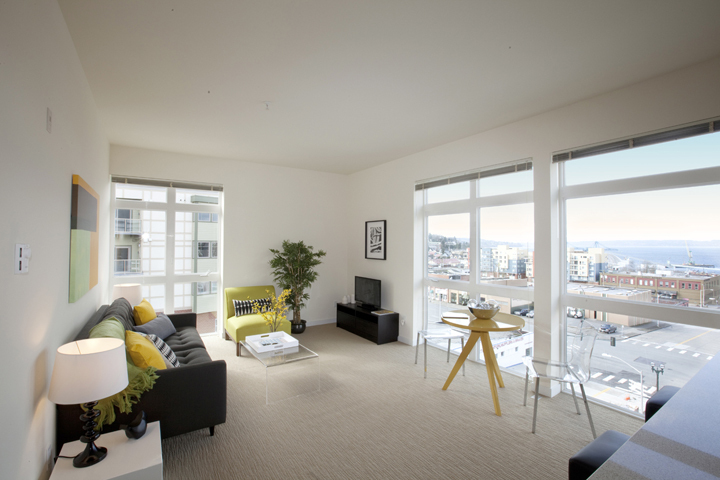 With a controlled parking garage, covered utilities, and a convenient location Bayview apartments are a must see! *All pricing cost are subject to change.